Especially on the West Coast of Northern Vancouver Island you may find lots of drift wood. A Ocean Picture of the west coast of Vancouver Island with lots of drift wood along the shore near Raft Cove. 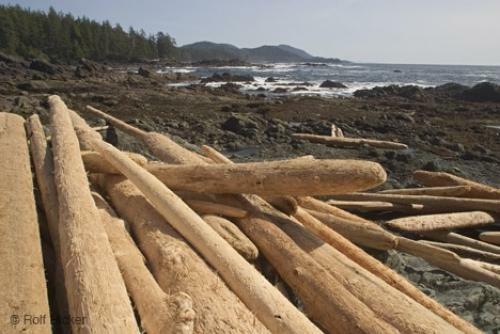 Photo of drift wood along the West Coast of Northern Vancouver Island near Raft Cove, British Columbia, Canada.